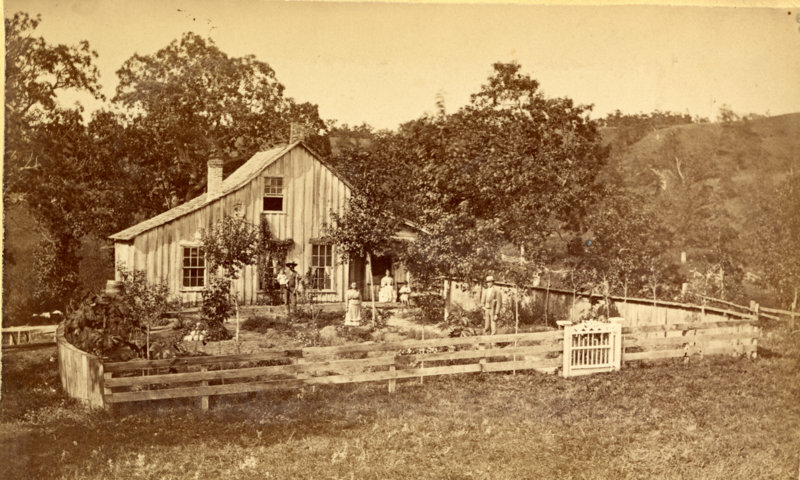 This week’s photo is “Residence of Mr. Blodget” from 1876. “Barett E. Blodgett’s home located south of N.P. Hill. Today (1940) the Owen’s home stand there and is occupied by John Cassidy. Pictured are Mr. & Mrs. Blogett and Children, Mrs. Clark and Mr. Samuel Young.” According to J.G. Whittemore in 1940. Barett E. Blodgett was the founder of the grist mill located in the same area, on the hills north of Glenwood. This entry was posted in Local History and tagged Barett Bodgett, Early Glenwood, Glenwood Minnesota, Pope County History, Trenham Photographs. Bookmark the permalink.